2019 looks set to be a breakthrough year for B2B marketers as the promise of digital channels, martech tools, AI, and conversational interfaces become a reality. Case studies of marketing excellence can be a source of valuable insights and new approaches to different and difficult marketing problems. 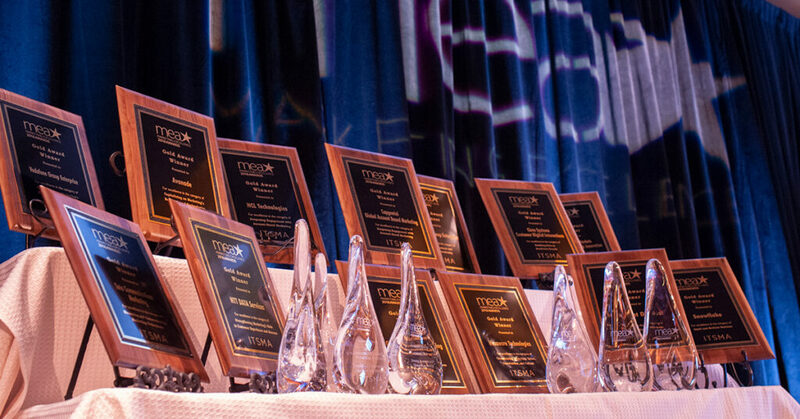 So, as we stand on the threshold of the New Year, here are some lessons from the seven categories of winners of ITSMA’s 2018 Marketing Excellence Awards. You can see the complete, award-winning summaries here (PDF 1.4MB). Engage clients and prospects with VR and AI. Indian-based, multinational technology company HCL had to find a way to make its Innovation Garage service offering more accessible. Customers who visited the main campus as part of the purchase cycle often didn’t have time to visit the Garage site. As a result, Garage experts could spend up to 1,680 hours per person each year on domestic and international visits to present what HCL could offer. Using the most modern technologies available, such as VR and AI, the developers created a multichannel experience that can be used with clients and has boosted engagement significantly while slashing travel costs. Integrate your digital marketing activities and tools into a central hub. UK-based Vodafone transformed its B2B digital marketing globally through a comprehensive and integrated overhaul of its digital marketing hub. This not only vastly improved its ability to act globally while adapting locally but brought substantial business benefits. Involve all marketers in your martech modernization initiatives. Avanade has applied the same approach to its marketing tools and technologies as it uses to help clients become fit for the digital world. The martech modernization initiative embraced the entire marketing organization, with three key factors critical to success: integration, focus on people, and collaboration with IT. Use ABM with cold, dead, and hostile accounts. HP Inc. was formed in 2015 to focus on the group’s personal systems, printers, and related services business. The problem it faced was a shrinking market. The solution was innovative: leverage its ABM program, to revive cold, dead, and hostile (CDH) accounts. The goal was to re-engage and regenerate leads and revenue growth from CDH accounts with the best potential and greatest fit; the result, hundreds of millions of dollars in net new revenue. Apply ABM to become a trusted partner with new accounts. When Capgemini, with its long history in ABM, acquired a major new client through an acquisition, its challenge was to help the newly-acquired ABM team to adapt to Capgemini’s way of working and culture without losing the client’s trust. Its intelligent approach not only got the new team on board but led to Capgemini gaining the status of a digital-preferred partner with the new client. Engage with your best customers in a more personal way through ABM. In 2017, HCL decided to overhaul its traditional sales, marketing, and product management practices and adopt ABM to pave the way for a more personalized marketing approach and help improve engagement with their largest accounts. The results included doubling the pipeline and deal value from marketing and increasing win rates by over 50%. Use thought leadership to elevate your brand in growth areas. Cognizant was well aware how concerned business leaders were about the advent of digital disruption. Through its Center for the Future of Work, the company came up with a game plan: compile a business guidebook, What To Do When Machines Do Everything, that offers pragmatic guidance and helps executives feel hope and inspiration rather than fear. A comprehensive and integrated campaign for the book, that leveraged numerous channels, content, and assets, not only boosted business and brand awareness but established Cognizant as a significant thought leader and disruptor in this area. Develop breakthrough thought leadership themes to build mindshare and shift perceptions. Vodafone was determined to build up its reputation as a strategic business partner and leading global provider of end-to-end communications solutions for the digital world. A thought leadership, research, and event program was created centered on its vision of a ‘Gigabit Society’ to engage customers, influencers, partners, and futurists in conversation and solution discussions. This program created €458M in new pipeline, with almost one third coming from Gigabit Society Innovation workshops with customers. Orchestrate customer engagement beyond just sales and marketing. In order to become a recognized partner for digital transformation, Microsoft successfully extended its ABM expertise into a more encompassing strategy of account-based engagement to orchestrate client interaction across marketing, sales, digital advisors, and delivery. This helped account teams align their engagement with key decision makers based on their business priorities and initiatives in a personalized and differentiated way. The program helped improve the perception of Microsoft as a partner, helped increase win rates by 30%, and increase their share of wallet by driving deals that are significantly larger. Upskill sales teams on digital selling and engagement. Cisco launched the Digital Seller of the Future Initiative in 2017 in order to empower its virtual sellers to increase customer retention. With that in mind, this initiative is designed to empower Cisco virtual sellers to give customers what they want: less friction and digital frustration, more immediacy and personalization, fewer hassles and more options for self-help to take control of their own buying journey. To overturn the traditional sales model, which meant staff spending 70% of their time on non-sales tasks, Cisco used a powerful combination of technological innovation, sales-specific platform and tools, and the creation of a new, agile sales culture to shift the focus to customer retention. Help sales improve sales call preparation with AI. IBM wanted to scale up its successful face-to-face sales enablement methods by creating a digital, AI-based platform that would echo the client-centric, business development approach but at a significantly reduced cost. The result, IBM Engage!, is a digital collaboration platform that helps sales teams prepare for client meetings virtually and develop relevant ideas, content, value propositions, and IBM solutions that address their client’s most pressing business challenges. Develop a marketing department that is integrated with the business, influential across functions, and results-driven. The result of a merger of three organizations, SPR decided to use the opportunity to rethink marketing’s role and activities by questioning past practices, participating in strategy and planning sessions across the company, changing its focus on marketing influence across all phases of the client journey, and taking a leadership position in unifying the company’s messaging and positioning. The marketing department is now a key collaborator across the entire business with a direct line of sight to marketing’s influence on all stages of the client relationship cycle. Create a single view of the customer across the customer journey. Tata Communications needed to change the scale and sophistication of how it tracked customer and prospect engagement across numerous channels and interactions to identify engagement gaps. Using the vision of ‘A single view of the customer,’ they integrated customer and prospect engagement data lying across multiple internal and external platforms, to help visualize engagement with individual customer contacts, organizations or a cluster to identify opportunities. The data and analytics initiative has boosted marketing’s impact on sales, customer engagement, customer satisfaction, and internal perception. Make it easier to engage with your subject matter experts. It’s common knowledge that prospects want more opportunities to speak with subject matter experts and not just sales. IBM created the ExpertAdvice program to help address this opportunity by providing a free consultation session to prospects where they could be connected directly with an IBM expert to discuss business problems and technology needs. Not only did high-value interactions increase, but there were measurable boosts to pipeline conversion and opportunity generation. As an example, ExpertAdvice saw high conversion rates from consultation to opportunities in pipeline, with ~30-40% conversion rates, compared to other channels such as web chat that have 8% conversion. Build collaboration centers not briefing centers. After the acquisition of Dell Services, NTT DATA decided to create a destination space for exploring digital possibilities, solving business problems, and discussing innovative technologies with clients. The result, done within a tight deadline of only nine months, was their new, state-of-the-art, immersive, Collaboration Center in Dallas, Texas. The center has quickly proved itself with over 150 engagements since opening that have led to new pipeline, impact on current pipeline, and improved customer experiences. Give customers a consistent post-purchase experience across all touchpoints. As SAP continues to derive more of its revenue from its cloud solutions, it needed to develop a greater customer-centric marketing approach for the post-purchase (pre-renewal) journey. This E2E customer lifecycle approach needed to also align with the sales, operations, and services areas of the company. This required a cultural shift to not only focus on the entire journey, but also to drive collaboration across the organization and provide resources necessary to effect such a change. SAP’s Customer Marketing Loyalty & Advocacy team launched the Moments That Matter initiative that has led to increased engagement, retention, and new sales. Re-invent marketing as a growth engine. In 2015, Larsen & Toubro Infotech embarked on an ambitious strategic transformation initiative across four pillars of the company: sales, delivery, people, and marketing to increase growth. At that time, the brand identity needed to be modernized and the use of marketing technologies had to be improved significantly. The marketing team also needed to reduce its dependence on limited channels, expand its global presence, induct new agency partners, reduce friction with sales, and improve its perception as just a support function. Key efforts focused on launching a new brand identity (LTI), improving personalization through persona research, a new martech stack, an increased focus on thought leadership and innovation, and feeding the pipeline with more opportunities from hyper-targeted demand generation and engagement campaigns. The results have helped turn the company into one of the growth stars of the IT industry over the last two years. Create a culture for success within marketing and across the company. Hexaware was determined to reposition itself in the market while at the same time breaking down functional silos within marketing and the company. They created a culture of unification in the department by focusing on the team structure, information sharing, accountability, and constant learning. One of the outcomes was the launch of a new integrated marketing program, AMPLIFY, that brought all of marketing together to optimize the lead generation engine through automation, digitization, and monetized prospecting. Along with rising revenues and increased brand awareness, marketing has increased its ROI, improved its stance in the company, received greater recognition from industry analysts, and become a more cohesive team than a collection of individual contributors.